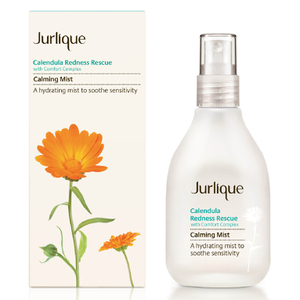 This soothing moisturizer features Jurlique's proprietary Comfort Complex including a super-strength Calendula extract to help comfort skin, while Evening Primrose, Macadamia, Rose Hip and Avocado Oils rich in essential fatty acids provide optimum hydration and skin barrier protection benefits. Skin feels restored, comforted and hydrated. Warm a small amount between fingertips and press gently over face, neck and décolletage. Use morning and night. Aqua (Water), Cetearyl Alcohol, Rosa canina Fruit Oil, Carthamus tinctorius (Safflower) Seed Oil, Caprylic/Capric Triglyceride, Simmondsia chinensis (Jojoba) Seed Oil, Macadamia ternifolia Seed Oil, Sodium Cetearyl Sulfate, Persea gratissima (Avocado) Oil, Hydroxypropyl Starch Phosphate, Glycerin, Honey, Calendula officinalis Flower Extract, Echinacea purpurea Extract, Chamomilla recutita (Matricaria) Flower Extract, Prunella vulgaris Leaf Extract, Spilanthes acmella Flower Extract, Althaea officinalis Root Extract, Hydrolyzed Linseed Extract, Aloe barbadensis Leaf Extract, Anthemis nobilis Flower Extract, Cucumis sativa (Cucumber) Fruit Extract, Camellia sinensis Leaf Extract, Xanthan Gum, Lauroyl Lysine, Daucus carota sativa (Carrot) Root Extract, Beta-carotene, Glycine soja (Soybean) Oil, Butyrospermum parkii (Shea) Butter, Lecithin, Oenothera biennis (Evening Primrose) Oil, Totarol, Tocopherol, Panthenol, Phenoxyethanol, Ethylhexylglycerin, Sodium Benzoate. I’m very sensitive to scented products on my face, I have to use products with a relatively natural and neutral/light scent. This moisturizer is just heavenly, it smells wonderful but it’s not too strong, so I use it daily. A little bit goes a long way thank goodness, because it’s a little difficult to find in Canada. 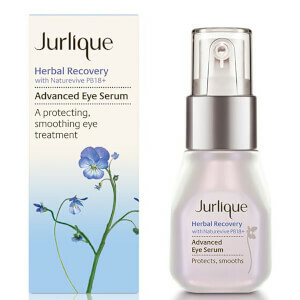 Glad to have found it on this website, because the Jurlique brand website only ships within Australia and the US. At first sight I was quite disappointed with how small the tube was, the fact that it didn't seem completely full to the top, and the price tag which seemed excessive in light of these two things. Also the product was thinner than I expected which means I needed to use more just to get the minimal effect of moisturizing, which it ended up failing to do. I thought this would be more like a thick balm. Unfortunately it was not as thick as the Replenishing Day Moisturizer I love and not moisturizing at all. My cheeks felt too dry to the touch and I needed to apply something over it just to feel comfortable.Aft first I thought it seemed to be helping control the redness, but after the third day it became obvious my cheeks were getting bright red and inflamed. 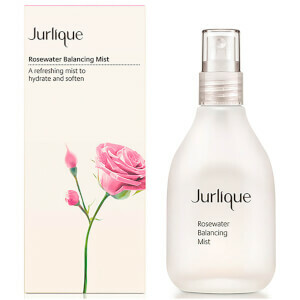 I stopped using it and the inflammation has calmed down considerably.So if you are looking for something meant for very dry skin, you definitely won't be happy with this, and rosacea sufferers may experience the exact same thing I did - additional breakouts and inflammation.I am returning this for the Jurlique moisturizer I used to use instaed. Sorry I do not see this as a good product and if it did work, the it would have been too expensive to contiue wiht.